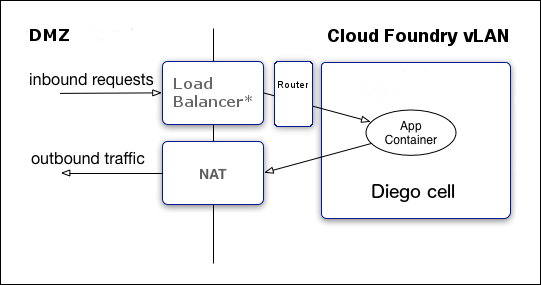 Application Security Groups (ASGs) apply network traffic rules at the container level. For information about creating and configuring ASGs, see Application Security Groups. Allowing administrators to configure ASGs to block outbound connections from application containers. For information about creating and configuring ASGs, see Application Security Groups.